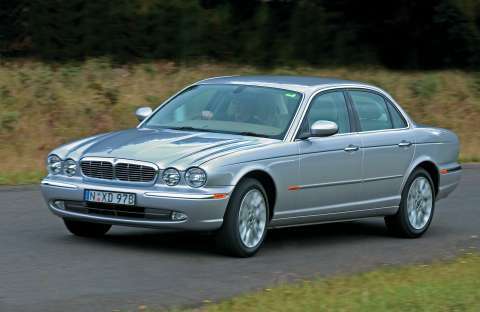 Jaguar sales for 2004 globally reached 118,918 - the second biggest volume year in the company's history. Sales in Europe and the UK reached record levels with Jaguar's introduction of diesel and Estate models to the market. In Australia, with less new model activity—the Estate and Diesel models are not sold here—Jaguar sales were not as buoyant as in Europe. Jaguar Australia General Manager David Blackhall said the volume reflected a year of change for Jaguar in Australia. "In 2004 we took a really close look at some specific aspects of industry practice here that were distorting our registration mix. This review resulted in changes to the way we handle dealer demonstrator registrations, Jaguar Australia company fleet registrations and so on. Taking that into consideration our year on year results were a lot closer than the raw numbers may indicate. Considering the luxury passenger market fell by 6.6% year-over-year, it was not an entirely untoward result. At the same time we reorganised our inventory and took many other actions that created a stronger business platform for the future," Mr Blackhall said. Overall, sales in the UK for 2004 reached record levels totalling 32,598 cars—an 11.2 per cent improvement over 2003, and 9.4 per cent up on the previous record in 2002. European sales of 24,337 cars helped achieve best ever results with a 24.6 per cent improvement over 2003. Global sales in 2004 totalled 118,918 (compared with 120,570 in 2003). The company's overall performance was, however, slowed by tough trading conditions in the key US market, where a 16.4% downturn was seen, year-on-year. A significant shift by US customers away from premium saloon cars to premium SUVs (as in Australia), high incentive activity in the US premium car sector and the strength of sterling versus the dollar all contributed to this trend. Jaguar nonetheless enjoyed success in the US, with the launch of its eagerly anticipated XJ LWB and recently the X-TYPE Estate. The introduction of the long-wheelbase version of the XJ contributed to a 4.5% rise in its share of this key market. Jaguar's North American operation is also riding high on recent successes in vehicle quality and customer service, ranking first in J.D. Power and Associates’ 2004 SSI (Sales Satisfaction Index), whilst Jaguar finished third overall – the highest-placed European nameplate - in J. D. Power's 2004 initial quality study. Jaguar was also awarded 'Best Luxury' car programme for its certified pre-owned scheme. Success on the racetrack also continues with Jaguar winning its second consecutive Trans-am series manufacturers’ championship and the company’s fourth win in the series overall. Bibiana Boerio, Managing Director of Jaguar, said: "2004 was a very tough year for Jaguar; we didn't achieve the sales we wanted, but we made progress in all our markets. We strengthened our position in the UK and Europe with the expansion of our Diesel line-up and we have refocused our efforts in the US and Japan."